Our latest project at the Press has been drafting permissions letters for our upcoming anthology. 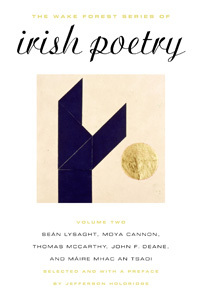 The Wake Forest Series of Irish Poetry, Volume III features the works of five Irish poets and will come out early next year. This week we will be contacting the publishers of these poets’ various works and requesting their permission to use selected poems in our anthology.